As the world awaits to celebrate the holy day of gift cards Christmas, let’s take a moment to count our blessings and thank our Lord and Savior for these other heavenly bodies born on the eve of Jesus’ birth. Shake Your Bon Bon as Ricky Martin turns an ageless 43. Apparently, Livin’ La Vida Loca does the body good. He hosts American Idol, his own radio show, America’s Top 40, New Years Rockin’ Eve and helps make theKardashians & Shahs of Sunset appear interesting as executive producer. Let’s all take a minute and hopeRyan Seacrest managed to also find the time to plan his big 40th birthday bash. Former Prison Break star Amaury Nolasco is proof that looking this hot at 44 should be a crime. Hide yo kids, hide yo wives, because Louis Tomlinson may be in a boy band but as the eldest member of One Direction he’s an all grown up 23-year-old. 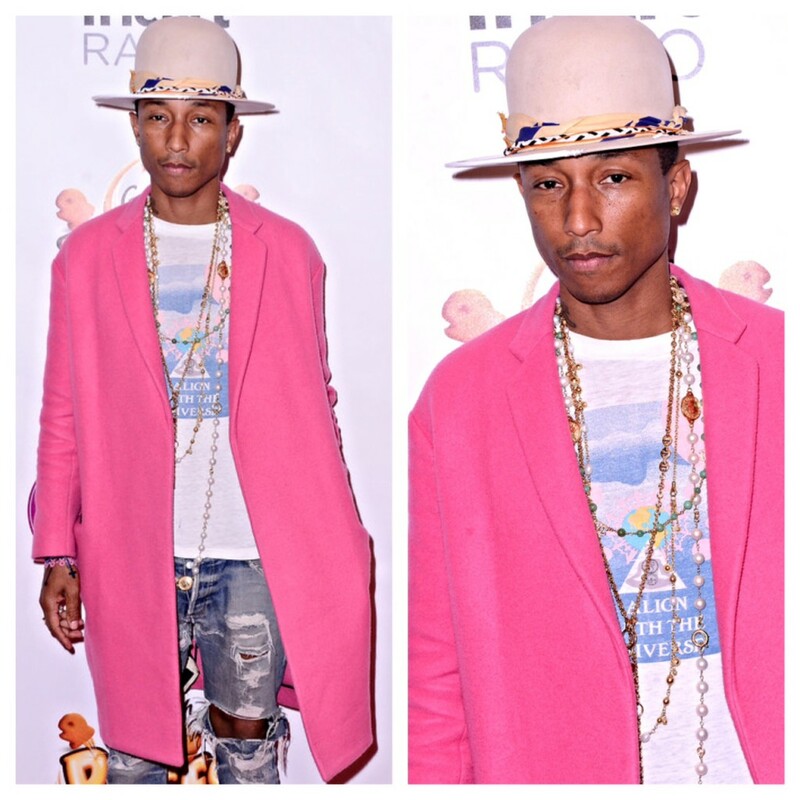 Pharrell Williams – The New Face of Talbots? Yes, Talbots! Ok, not really but Pharrell could very well be the new spokesmodel of every mom’s favorite mall store after arriving to the Z100 Jiggle Ball in New York this weekend dressed liked your worldly Upper West Side aunty. All dolled up in a vintage Dorothy Zbornak Pepto Bismol duster, a statement safari hat that is sure to be the envy of the biddies at the Boca Raton bridge club and a slew of long necklaces from the Lauren Bacall estate sale, the matronly 41-year-old negotiated the concert’s red carpet looking anything but Happy. Add in a pair of shoulder pads and you’ve got cousin Sylvia’s Christmas gift squared away. 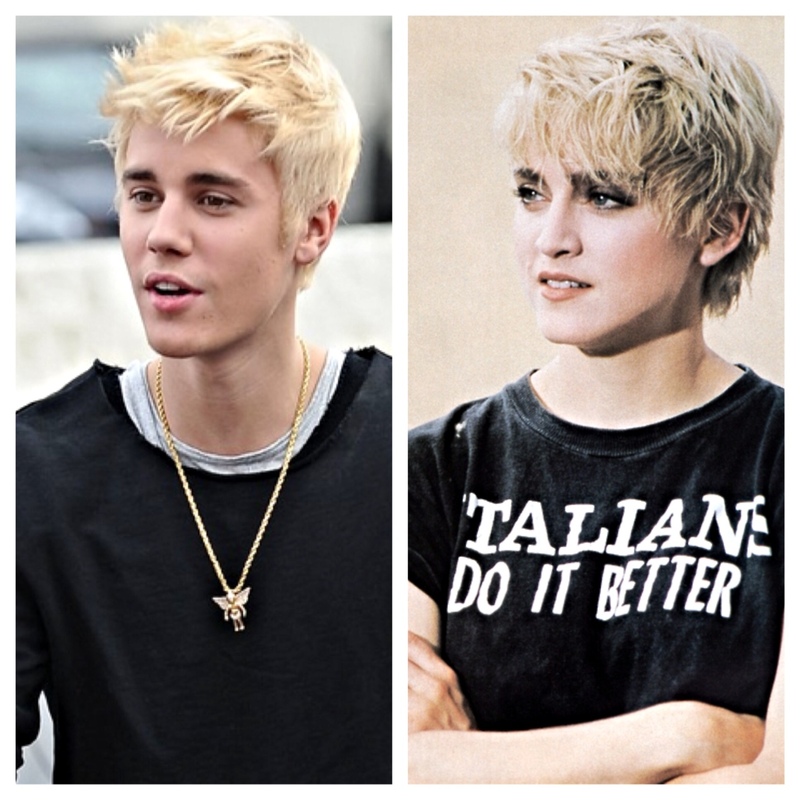 Over the weekend, Justin Bieber dyed. The 20-year-old attempted to wash Selena Gomez right out of his hair by updating his trademark lesbian locks with a brave platinum weave similar to the one Her Madgesty Madonna wore in the 1986 video Papa Don’t Preach. He’s the new queen of pop. 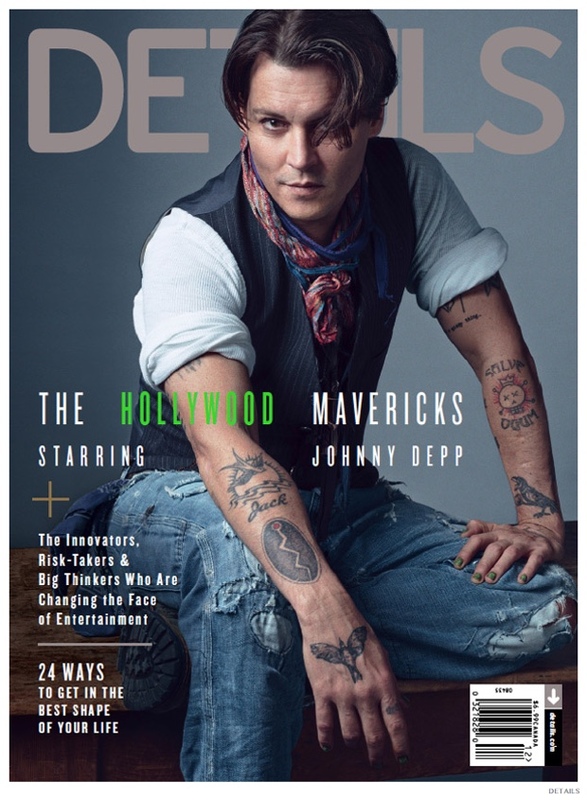 While he’s usually sporting wigs and heavy pancake makeup in films like Edward Scissorhands, Charlie and The Chocolate Factory, Sweeney Todd, Pirates of the Caribbean and Alice in Wonderland, Johnny Depp went for a more masculine aesthetic by channeling his inner butch lesbian on the cover of the latest issue of Details. Nineties kd Lang is the new black. 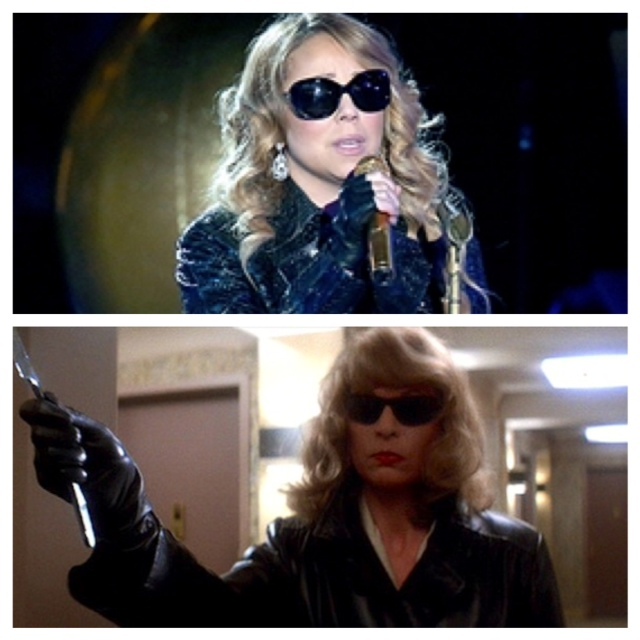 Contrary to what everyone is saying, Mariah Carey slayed it last night… by getting decked out in her best early ’80s transgender psychopath drag ala Michael Caine‘s ‘Bobbi’ in Brian De Palma’s camp classic thriller Dressed To Kill. The 45-year-old’s interesting choice of attire during rehearsals for NBC’s Christmas in Rockefeller Center made total sense once she murdered her latest rendition of All I Want For Christmas Is You. There were no survivors. May she rest. Lana Del Rey UNHARMED in Nineties Icon Melee! 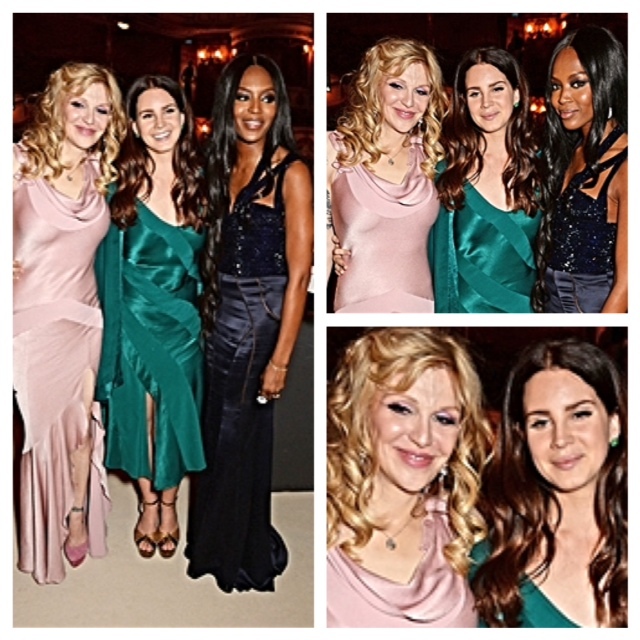 Despite any evidence of hypodermic needles or wayward cell phones, drowsy singer Lana Del Rey risked severe bodily harm as she found herself in a precarious situation alongside Kurt Cobain’s widow Courtney Love, 50, and anger mismanagement spokesmodel Naomi Campbell, 44, at the British Fashion Awards in London on Monday. Authorities at the scene revealed the alleged chanteuse managed to escape with no signs of physical trauma. After further investigation it was determined Del Rey’s engorged pout was in fact a product of her own doing. Born Elizabeth Woolridge Grant, the 29-year-old vocal minimalist – who is willingly going on tour with the Hole survivor – stood completely still with the assistance of a pair of trendy orthopedic sandals as she slyly eluded the ’90s icons without incident. It’s common knowledge that Courtney and Naomi are fans of Ultraviolence … and they reportedly like Lana’s third studio album too.